FOIMan examines claims that 114 “missing” files are a sign of sinister goings-on at the Home Office. Are there any files missing from these boxes? 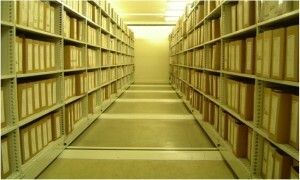 Having been a records manager for nearly 20 years (12 September 1994 is the date that particular file was opened), I felt obliged to watch the Home Affairs Committee’s session with the Home Office Permanent Secretary this week, which was prompted by admissions from his department that 114 files which may have related to allegations of child abuse are “missing”. The media and many politicians have been quick to suggest that this is evidence of a conspiracy. The MPs on the Home Affairs Committee were keen to demonstrate that their minds were superior to those of Mr Sedwill and of the individual who carried out the inquiry that had identified the problem in the first place. Michael Ellis MP in particular wore his derision proudly, and why not? After all, who else would have thought to check the registry index to find out where the files had gone? His contempt for officials who fall below his and Sherlock Holmes’s intellectual level did not appear to be assuaged by Mr Sedwill’s calm assurance that, yes, that was how they’d identified the problem in the first place. So how odd is it that these files have disappeared? Well, first, let’s look at the statistics. By the Home Office’s own admission, out of 750,000 registered files, around 30,000 files are missing. This appears to suggest that the 114 missing files are not that unusual. The Permanent Secretary also shed some light on the history of record-keeping at the Home Office. He claimed that between 1982 and the late 90s, the Home Office adopted a government-wide filing system, and for much of the 80s this was administered by registrars (he actually said that the department had adopted the Grigg filing system in 1982 – but I think he is mistaken; the Grigg system governs the review and disposal of files, rather than how information is filed). Crucially, he explained that filing was devolved to service areas, so sometimes files were destroyed in those areas without central registry being informed. In the mid-90s I worked for a central government Quango and part of my responsibilities would be to register files created by staff, often in other buildings. The system was creaking at the seams, and I would have been unsurprised to hear that colleagues were bypassing it – keeping information outside the system and disposing of files without telling us. Mr Sedwill said that the system before that was even less controlled – a civil service Wild West if you like. Information professionals often hark back to a golden age of file registries, when every file was registered centrally. This account casts doubt on its qualities. The Home Office Head feels more comfortable with our present age with emails that leave “digital footprints”. It is an interesting perspective, and there is some truth in it. The truth is that – as I’ve written before (and again here) and will almost certainly do so again – records management is rarely maintained to a standard that supports the kind of forensic investigation that these MPs expect. Where there is a strong driver for good record-keeping – say, the commercial imperative for pharmaceutical companies whose products could be removed from the market without comprehensive records that can be produced at a moment’s notice – it can be highly effective. But it requires investment and commitment from the top. For most organisations, this imperative is not as strong, and the result is that organisations don’t really think about filing in anything other than a derogatory manner. Filing is something interns do. Even in those organisations that do need to take it seriously, it is usually only possible to maintain high standards in specialist areas. As for Mr Sedwill’s suggestion that these files were almost certainly destroyed because of the subject matter, this too has the ring of truth. (And now we rightly reference the Grigg system). The Grigg system is the approach taken to review and disposal of files across central government since the 1950s. Files are closed when they are a couple of inches thick or 5 years old, then reviewed after 5 years to see if they’re still needed. At that point a destruction date is given to files unless it is decided that they have long-term value. Those files are reviewed again after 25 years, and this is when files are selected for permanent retention at the National Archives for the benefit of future historians. Guidance given to departments indicates the sort of subjects that ought to be retained – and to my mind the sort of files that appear to have been “lost” don’t fit those criteria. In an ideal world the Home Office would have reliable records of what they had destroyed over the last 30 years. But few of us live in an ideal world. Of course, that helps those trying to hide misdeeds, because they can hide in the forest of doubt. But I’d still agree with the finding of Mr Sedwill’s inquiry that there is nothing in the loss of these 114 files that can be taken as evidence of corruption at the Home Office. Thanks for an excellent article. You hit many of the key points that records professional and information governance professionals raise about record keeping. I agree that filing systems are often an afterthought, if that, when organisations prioritise their resources. What they fail to realize is that records are the shadow of all decisions, all the money, and all the people. I almost accepted the logic of your argument up until the point I considered David Mellor’s statement that he remembered the documents and they were discussed within the department. These files were not routine requisitions or relatively non-controversial decisions about funding or about priortising a new project. Those records and decisions while potentially sensitive (anything the minister deems important is important)do not fit the criteria of these files. These files contained allegations of criminal acts against children. These were not wild eyed claims of conspiracy from someone with an axe to grind. Instead, they were passed to the service by an MP. David Mellor was able to recall that they were discussed enough to know that they were not important. One has to ask the hard questions about the process by which criminal allegations are recorded, how they are passed to the police, and how they are retained. In a word, there has to be bureaucratic ripples from the decisions and memories that Mr. Mellor recalls. Does this mean that the Home Office is corrupt? No. Who would want or think to jump to that conclusion. What is indicative is that England urgently needs the equivalent of the shaw report and the public records act that Scotland have implemented. If an organisation is paying lip service to accountability, it will pay lip service to its record keeping. If an organisation is serious about being accountable, it will be serious about its record keeping. Do you think the Home Office is serious about accountability? A really interesting article Paul, thanks for that. I do think that it is important that we investigate what happened with this information at the time and look at whether anything about how such information would be treated now needs to change. I am a firm believer in incompetence over conspiracy unless proved otherwise. 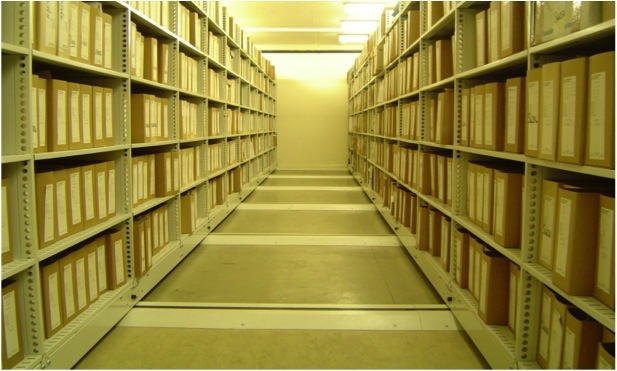 Records Management is a vitally important aspect of any organisation. I can’t imagine that it is all that easy in an organisation the size of a central government department like the Home Office; however, that shouldn’t be an excuse not to improve records management. One can only assume that the continued growth of technology can only assist in the improvement of how files are handled and stored and their existence recorded (together with their destruction). I worked for the Home Office in different capacities from 1976, and have to say that my thoughts are that the Home Office, as with other departments, had a very poor standard of record keeping centrally. Whilst managing a Probation Office with a spread in seriousness of offending in the early days we had to process record everything and managers had to check files were well kept and gave full details of decision making. Similarly a spell in Social Services demonstrated the importance of through recording, which was subject to checks etc. central government however seemed more concerned with whether there was enough space to keep files, I encountered this with the old DTI, and DCMS. The most junior staff were expected to maintain files with no guidance and the emphasis seemed to be on minimum retention. So processes in central government were sloppy. But this just provides a ripe ground for savvy a users, suppressors and vested interests to run a mock with covering their deeds! Interesting and sensible article. I have to say, if the activity were always called Records Management, it might be taken seriously. But in both central and local government it is usually called “doing the filing” and is the domain of the lowest level administrator, the member of that much derided and easily disposed of group, the back office staff. And now it is increasingly also being poorly done by the frontline staff with too much else to do, because the back office staff have all been disposed of as a budget saving.